This is the third part of a drawing resources guide I created as an assignment as part of my postgraduate study at City, University of London. It doesn't claim to be fully inclusive, and it has a UK focus. There's a link to other parts of the guide at the bottom of this post, and an introduction to the guide here. 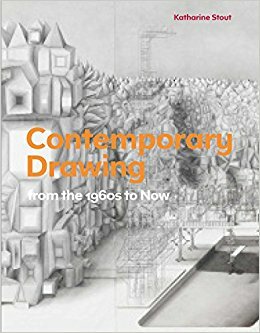 There is a huge range of books about drawing on sale, from the most elementary "how-to" publications to monographs and critical discourse. The selection here focuses mainly on contemporary themes that explore the changing nature and great diversity of drawing through the eyes of writers who are also artists, art tutors, curators and gallerists. Written by a co-founder of the Drawing Room, London, this book charts the rise of drawing from a preparatory sketch for the main work, to a discipline at the forefront of contemporary art. Stout explores the many routes drawing can take, and its role as externalising thought, and as a means of expression rather than a means to an end, which can involve drawing without paper, perhaps as performance or temporal works. Artists featured extend beyond the Western canon. This book has a practical element of projects with an art school feel – the authors have experience of teaching at foundation and degree level – but insight and advice is included through 19 interviews with leading artists who draw, including Julie Mehretu, William Kentridge, Charles Avery and Jeff Koons. A book of part practical advice and part inspiration and art history, it encompasses information about the materials and techniques that can be employed and insights into the working methods of artists such as Rembrandt, Goya, Blake, Beuys and Basquiat. Based on the Renaissance literary model of the commonplace book (in which noteworthy comments were written), this title explores the place of contemporary drawing through a compilation of works by artists including Louise Bourgeois, Rachel Whiteread, Tracey Emin, Sol LeWitt, Paul MacCarthy and Paul Noble that explore five themes: measurement, nature, the city, dreams and the body. It includes essays by curators and art writers. Drawings by 43 artists, including Tracey Emin, Paul Noble, Cornelia Parker, David Shrigley and Erwin Wurm, whose works typically are manifested through the practice of drawing. 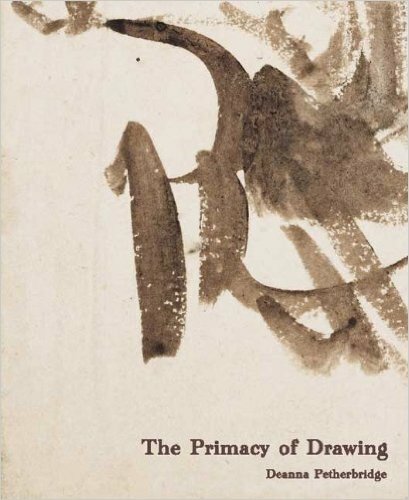 MacLagan traces the history and evolution of the three marginal forms of drawing – scribbling, doodling and automatic drawing – which embrace Surrealism, Abstract Expressionism, Psychedelic art and works by artists including Jackson Pollock, Paul Klee and Sol LeWitt as well as the less familiar and anonymous. Petherbridge, an artist whose work focuses on drawing, explores its role as "visual thinking" from the 15th century to the present day, and drawing's primal importance in generating ideas and problem solving. She argues that drawing has its own discrete place in artistic practice, its own codes, systems, materials and economy. Vitamin D features the work of 109 contemporary artists selected by leading critics and curators, with work that reflects the current state of drawing as a medium. Vitamin D2, published 12 years later, did the same again, featuring 115 new artists from 40 countries who had become established during that interlude. Between them, the books are an excellent survey of contemporary drawing practice. Drawings by – and interviews with – 84 international artists who don't see drawing as a preparatory work or route on the way to another piece of work, but as a finished medium in its own right, and who often work on a large or even monumental scale. The Drawer, a French publication that takes its homonymous name from a person who draws and a place to store drawings, is published every six months. It features drawings in its widest sense, from artists, designers, architects and illustrators, to singers, musicians, choreographers and authors, who also answer a brief series of questions. Each issue takes as its theme the title of a book, film or piece of music with creative potential. This peer-reviewed journal focuses on contemporary practice and its theoretical context, and aims to re-establish the "materiality" of drawing during an age of electronic media. Topics include papers as well as visual contributions. This is a quarterly international review of graphic design and visual culture. 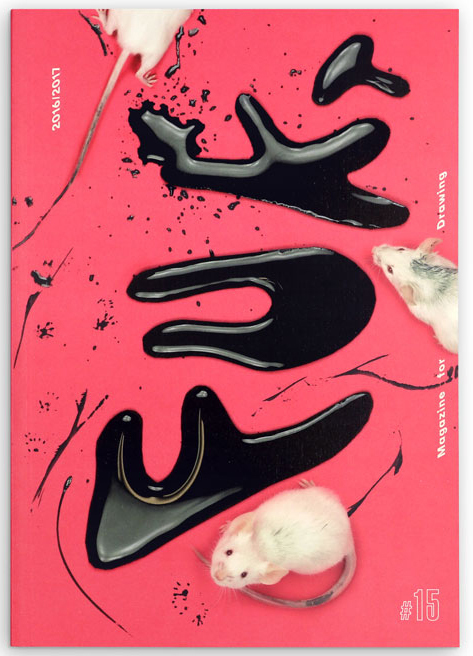 As well as colour images, it features in-depth articles on illustration, design and visual culture. Fact (see image) is an annual magazine for contemporary drawing that was founded in Norway in 1991 and based in Berlin since 2001. It focuses on artists' drawings with occasional interviews and essays. Each issue comes in a different design and format. A quarterly independent print magazine about concept drawing, urban sketching and illustration that brought together well-illustrated interviews and information about the techniques used, which despite the title, was not restricted to pencil. HB presents contemporary drawing practices as a "kind of exhibition on paper", and features emerging, marginalised and established artists from Quebec, Canada, where it is based. It gives precedence to imagery made using graphite, ink and coloured pencil rather than text. The initiative is run by five Canadian artist-run centres and a commercial gallery. Published by the Open University, this peer-reviewed open access journal for arts scholarship spans practitioners in such communities as art, architecture and design, curators and arts policy makers, and researchers in the arts and heritage sectors. Each contribution is published under a Creative Commons (CC BY-NC 3.0) licence. Five issues have been published since its first in 2013, each taking on a theme. An online, open access, peer-reviewed journal hosted by Loughborough University School of Art and Design that is an arena for discussion and debate and research on contemporary drawing and visualisation. Learning on Screen TV programmes were accessible through education institutions (UK only) on Box of Broadcasts (subscribers only) on 25 April 2017. A selection of videos by the organisers of the annual Big Draw Festival (see page 6) that feature conversations with prominent drawers, and visits to artist-led drawing events. The re-emergence in popularity of drawing the naked human figure is explored and encouraged by the art graduate and TV presenter Anneka Rice. A series that gives viewers the chance to draw life models with a different well-known artist tutor for each task, including Gary Hume, Maggi Hambling and Humphrey Ocean. A series of short films that focus on the work of documentary artists that give an insight into working practices and inspirations. A four-part series in which Andrew Graham Dixon explores the history of drawing and how it has been used by designers and architects. The official YouTube channel of the Urban Sketchers organisation features videos about its workshops, symposiums, sketchcrawls, news and events, shares videos of its regional groups, and educates viewers about the practice of drawing on location. The seminal four-part TV series presented by the writer John Berger originally shown in 1972, and which was adapted as a book of the same name, raises questions about how we look at works of art, and therefore how we make them. A documentary series that traces the everyday routines and working processes of prominent artists, including Cornelia Parker, Michael Craig-Martin and Peter Blake. The three series consist of 22 episodes in total. Missed the others in this series? and here's part four (drawing schools, prizes and awards, and suppliers).